Just as Spider-Man‘s adventures on the big screen start afresh this year, so too do his exploits on the small screen. To tie in with the release of Spider-Man: Homecoming this July, Disney XD are bringing fans of the wall-crawler a brand new animated series titled – you’ll never guess – Marvel’s Spider-Man. After some concept art appeared online last month, we now have our first look at the show in action and it’s definitely promising. The first teaser for the series (above) is classic Spider-Man, as it sees Peter Parker quipping and thwipping his way through a battle with his old enemy the Scorpion. In a nice bit of synergy with Homecoming, the titular hero’s wearing a makeshift proto-Spidey suit that heavily resembles the same one worn by Tom Holland in the upcoming movie. Scorpion’s look is also different from the traditional version, as his suit is much more armour-like. We imagine that if the villain ever makes it into the Marvel Cinematic Universe, he’d look a lot like this. Alongside the teaser, the first poster for the series has also landed (see below). It’s a cool, if not particularly original, concept: the clash between the day and night lives of the teenage Parker. It’s also more evidence of the show aligning with Homecoming, which will likewise focus on Spidey juggling his regular teenage life with his burgeoning career as a friendly neighbourhood superhero. 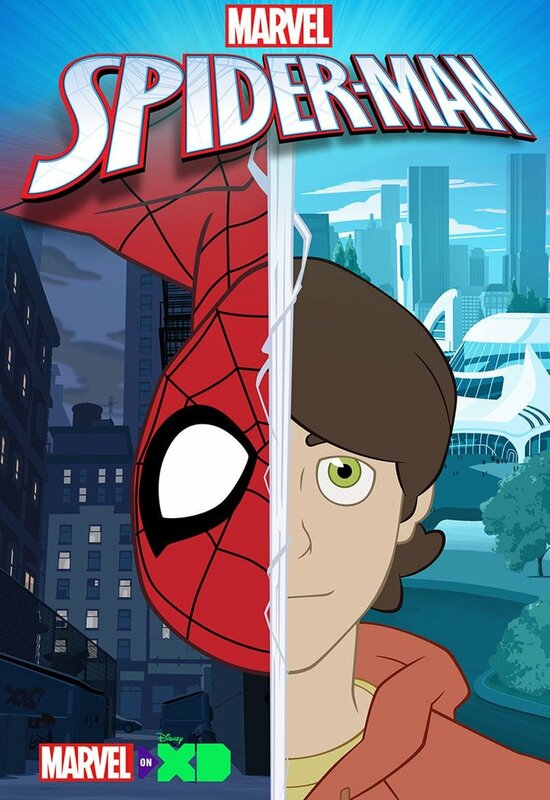 Overall, then, the series looks set to be very much a back-to-basics approach to the Spider-Man mythos, which is a good idea after Disney’s previous show, Ultimate Spider-Man had more of a fantastical bent. That said, we know that Spider-Gwen and Miles Morales will both appear in the show at some point, not to mention Spidey’s perennial foes the Sinister Six, which is all very exciting. Marvel’s Spider-Man is set to air at some point this summer. Stay tuned for more.